Need a Professional Property Manager for Your Charleston Home or Condo? If you are considering hiring a professional property manager to oversee your rental property, please consider allowing me to manage your property in a professional and service-oriented manner. I look forward to working with you in regards to your property management needs. 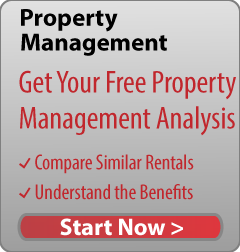 If you are considering hiring a professional property manager to remove the stress and hassle of managing your rental property, you need to confirm that all the below property management services are included in the property management fee. After you have selected me as your property manager, I will conduct a thorough evaluation of the property’s overall condition. Prior to marketing your rental property, we will identify any maintenance or updates that are required such as carpet cleaning, painting, landscaping, power washing, and more. Once I am ready to market the property, I will write a detailed property description for the MLS, take high-quality photos, and produce HD videos. I will also showcase the home on various websites, newspaper ads and on Craigslist. I will personally show the property to prospective tenants. Once a prospective tenant submits a rental application and rental application fee, I will then obtain and review the following to ensure that they would make suitable tenants: their credit score, employment history, landlord references, and bank account history. When you agree that we have found the right tenants to rent your property, I will immediately prepare and execute the SC rental contract. Once all parties have signed, initialed and dated the rental agreement, I will provide copies of the contract to the owner and new tenant. At this time I will also collect any monies due, including the first month’s rent, any prorated rent, the security deposit, and pet deposit (if applicable). In order to eliminate any confusion, I will take photos and video evidence to document the property's condition at the time the tenants moved in. I will ensure that the tenants are fully aware of their obligations and understand that they are expected to leave the property in “as good as” or “better” condition as it was when they first moved in. At this point, I will provide the new tenant with the keys to the home as well as other applicable items such keys to the garage, swimming pool and fitness center. I will perform regularly scheduled home inspections on your behalf to verify that the tenant is maintaining the property as per the terms of the contract. You will also be informed of any problems or emergency repairs that require your approval. Each month, my accounting department will mail you the rent check along with a detailed owner statement that shows all financial transactions that have been completed over the past 30 days. At the end of the year, you will receive a 1099 and annual owner statement. When you are ready to consider a property manager for your home, I will be happy to meet with you and offer my property management strategies.